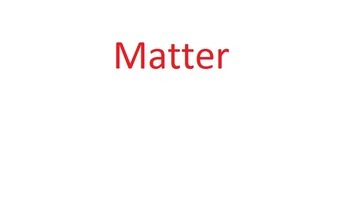 This outline goes hand-in-hand with the power point presentation on matter. The outline has blanks so the students must listen to the presentation and fill in the blanks as you present!! !